Serious issues impacted Challenge 2000 this year, and the Marist – Challenge Gap students made huge difference. “The Wellington-Porirua and Hutt communities could not have done without the Marist Challenge gap students presence and commitment” says Challenge 2000 Director, Steve O’Connor. “Having these additional passionate, keen, diversely skilled young people means Challenge 2000 could provide crucial additional back up services like holiday programmes, music initiatives, fuller youth houses and teacher aides to support young people to thrive and achieve”, he said. 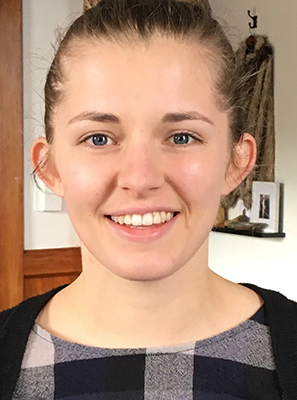 Anna Hoskins the Gap Year co-ordinator adds ”our male Gappies Sio, Savesi, Rimu and Aidan have thrived mentoring young men, providing additional tutoring and a driving service to sports games and College activities this year. “They have built strong relationships and become both role models and buddies to those they work with”. Mike, a young man on a youth justice programme backed Anna up. “They’re like older brothers that I can look up too and they are always there for me. “I’m keen to go on that Gap Programme if I can, later”. Part of the Marist Challenge Gap Year also involves a month placement working in another country, community or agency out of Wellington. supported young offenders on a wilderness experience. Participants return stronger, more aware and more confident in who they are and how they will contribute to our country. Anna, herself a graduate of the programme five years ago, says she is proud to now coordinate it. “This is an amazing way that the Society of Mary now supports young people like me to grow, become aware of what is going on in society and discover ways of contributing to my community”. She says it’s a great partnership with Challenge 2000 and sees it as a very positive investment in the young people of Aotearoa New Zealand. This year is the 10th year of this intensive innovative Personal development programme funded by the Society of Mary in partnership with Challenge 2000 a community based NGO. 80 young people have now completed this programme and many are now leaders making a difference. The programme consists of two days training every week and three days working in areas of need where the young leaders can strengthen existing programmes and use their skills and passion for service and justice. Click to find out more about the 2019 Marist-Challenge Gap Year. 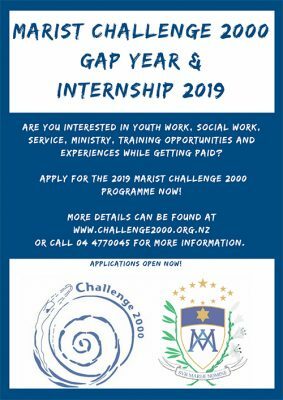 Click to register your interest or enrol in the 2019 Marist-Challenge Gap Year.